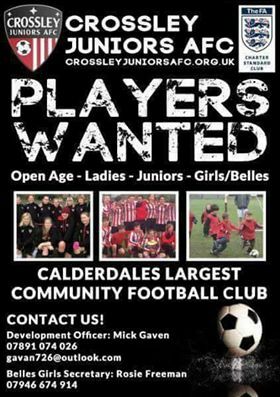 Crossley Juniors AFC are looking for players. Become part of Calderdales largest community football club! ← Storytime Special – Eureka!